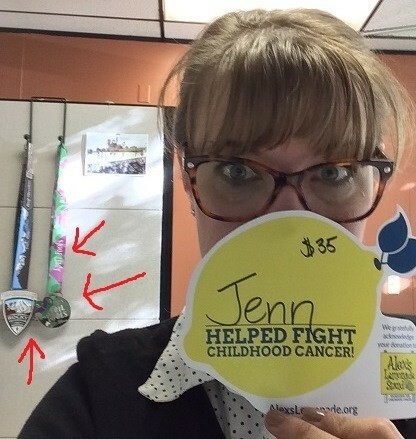 This entry was posted in Fun stuff, Scoot a Doot chatter and tagged 1/2 marathon, 10k, 5k, crafty, DIY, fitness, half marathon, healthy living, Jenn, Medal, medal rack, motivation, race, run, runDisney, running. Bookmark the permalink. I can’t wait to see what you come up with, Jenn! I know whatever it is will be just as awesome as you are. Are you thinking of hanging it at home or at work? And what medals will be added to it soon??? Thanks Mer! I’ll be hanging it at home, the medals aren’t doing anything for me at work. Around here you have to run a half to get a medal. Local 5 and 10ks don’t give out bling. Not sure why. So next will likely be my Star Wars RC 2016 set! THOSE ARE GOING TO BE WELL WORTH THE WAIT! Disney doesn’t mess around when it comes to the medals. These are all great ideas. 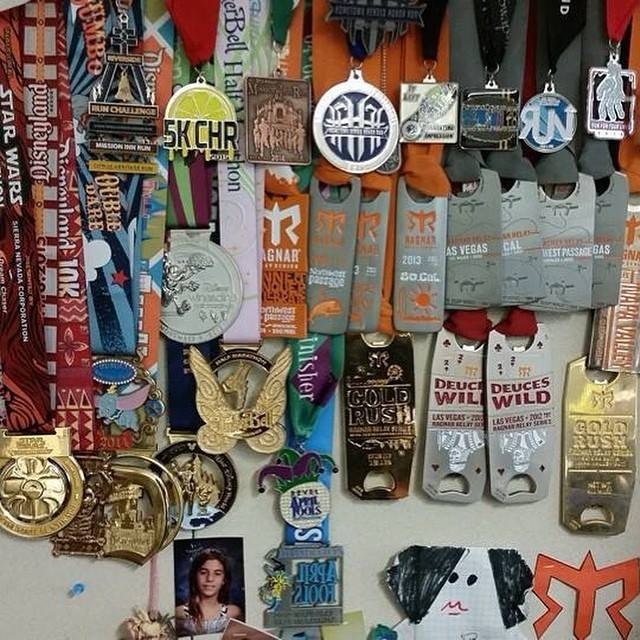 I have a medal rack that I ordered from Gone for a Run a few years back, but it is getting overloaded – I will have to try out being crafty for once, because the ones you posted are awesome! 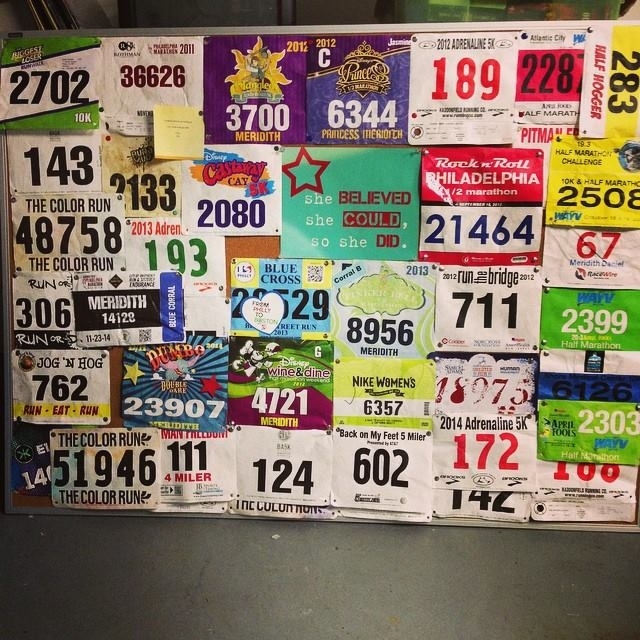 I love seeing how other people display their bibs and medals! There are some real creative folks out there. I have some hooks from Allied medals and sport hooks but I have also made some displays too. My favorite is using a rectangular picture from and attaching a dowel rod to the bottom of it. That you can display race pics on top and medals on the bottom! I think you need an expandable one that can be added on to as you get more. Because if Mer is any example, there will be more once you are hooked. And, Cam’s is so neat, which I love. Maybe a mountain scene as the background to represent where you live? 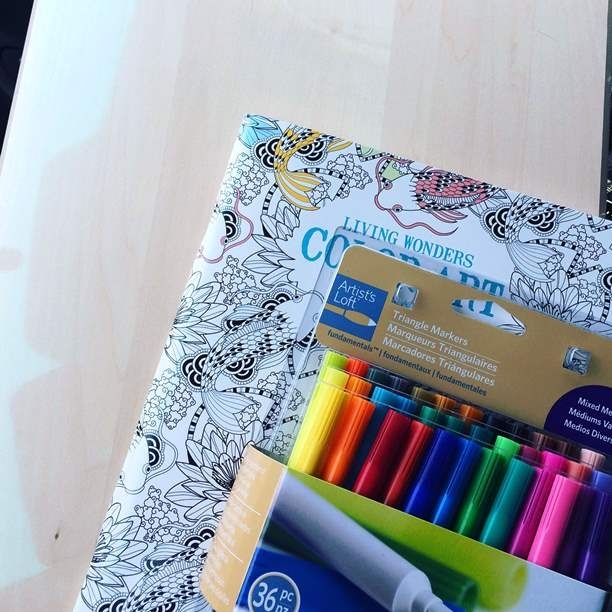 Have fun you crafty woman!